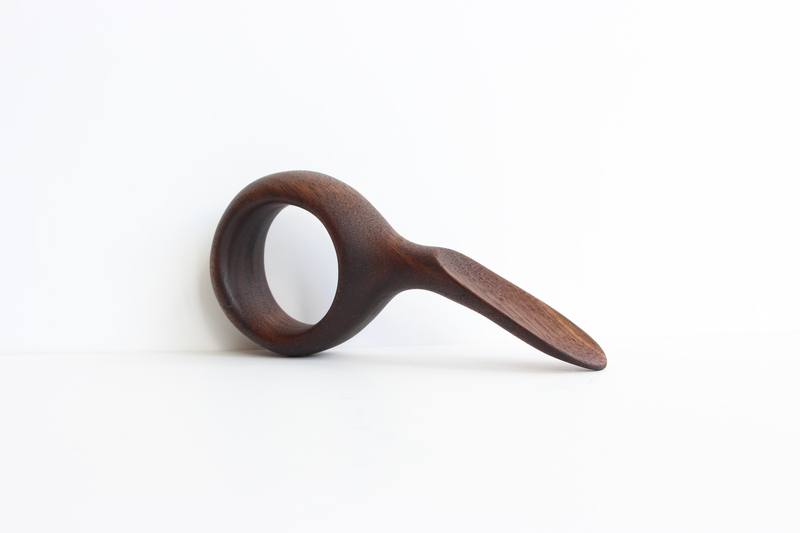 This spoon is made of Danish walnut wood gathered by Stian Korntved Ruud. Part of a series of spoons based on the ”Daily Spoon” project Stian Korntved Ruud finished in 2015. The series focuses on an alternative use of the spoon, offering an inspiring adventure during the meal. Every spoon is unique and made of different woods that each have their own smell and feel to them. Techniques used: hand carving, sanding and oiling.